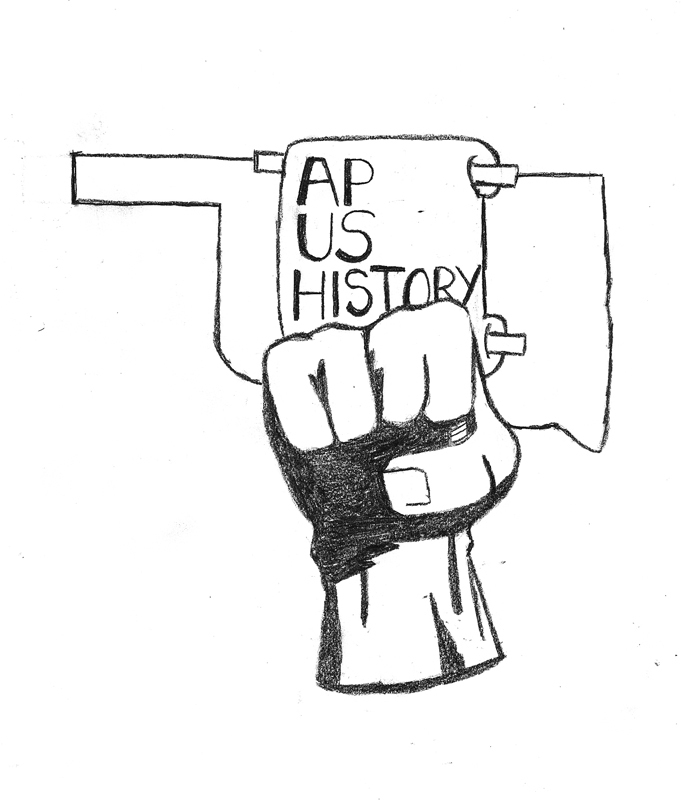 This week, the legislative committee on education in Oklahoma voted to ban Advanced Placement (AP) United States History. Since the College Board updated the curriculum for the course in the middle of 2014, Republican lawmaker and the bill’s sponsor Dan Fischer has claimed that the curriculum is too critical of America. His bill, in addition to the ban, proposes a new curriculum for American history courses in Oklahoma that aims to promote a more “patriotic” memory. Fischer says that under the new AP curriculum, the emphasis is “on America as a nation of oppressors and exploiters,” and his proposal for a new educational framework promotes a more positive spin on American history. The proposal also mandates the inclusion of the Ten Commandments, “Sinners in the Hands of an Angry God,” three separate speeches by Ronald Reagan, and George W. Bush’s speech immediately following the attacks of Sept. 11, 2001. According to the bill, any school not in compliance with the new curriculum during the 2014-2015 school year will not receive Oklahoma state funding for their programs. Many critics of the AP framework claim that it includes a liberal slant and denounce it for politicizing history. However, this counter-proposal is truly no better, as it undeniably has its own biases. Not only is there a conservative slant, but also a religious one. Representative Fischer is a member of the Black Robe Regiment. This is a group of Americans named after ministers from the colonial era whose mission is to end the division between Church and State. The foundation of this belief goes back to pre-Revolutionary history. They claim that, at America’s conception, these two entities were fundamentally connected, and the activism of ministers helped Americans win independence when political efforts failed. Even though the Americans that fought for and won independence were religious people, they left England in order to escape religious oppression. They wanted independence from a monarchical government so that they could form a decentralized government with increased liberties. The idea of American Exceptionalism is based heavily on our nation’s freedoms, guaranteed by our constitution. They are not just freedoms; they are rights that all American people are entitled to. Fan favorites include free speech, freedom to bear arms, freedom to a fair trial, and freedom from illegal search and seizure. But what about our First Amendment right to speak freely about our grievances against the government? Being proud to be an American does not require us as citizens to pledge blind allegiance. It is possible to be patriotic and still have a critical understanding of what our history truly looks like. The AP U.S. History framework encourages students to look at the events that compose our full timeline from an objective perspective, allowing students to see what has worked for the nation and what has set us back. This is an investment in our political future. If students were to learn a whitewashed version of history that lacks the truth, they cannot be expected to grow up and become effective citizens. Their understanding of cause and effect in the context of history wouldn’t be realistic. The implication that this bill has for our freedom is tremendous. Because these lawmakers believe that being critical of America’s past is a bad thing, they’re effectively taking away students’ rights to speak openly about America. Historical revisionism is a tactic that has been used effectively by nations such as Nazi Germany, Soviet Russia, North Korea, and Serbia. It’s a propaganda tactic that uses deception to essentially brainwash citizens into believing whatever version of history is most convenient to the ruling party. What’s at risk here is much bigger than just education reform; it’s our free will. As Americans who support educational freedom, we need to stand up to legislation like this. It is our right to have access to history that is correct and will benefit us as critical thinkers, and it is my hope that this bill will not survive the legislative process.